Clay Aiken – Let’s Celebrate! 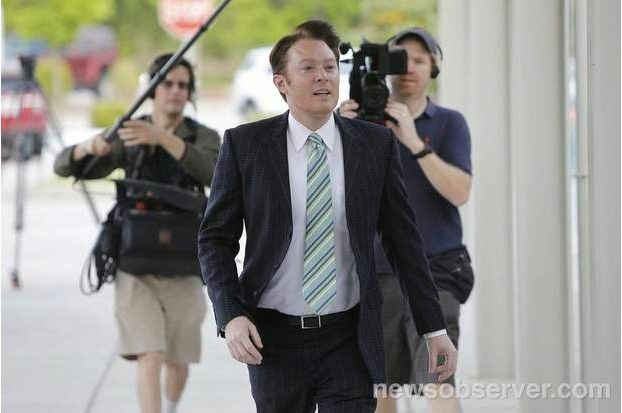 Congratulation to Clay Aiken for winning the democratic nomination in the 2nd Congressional District in North Carolina! 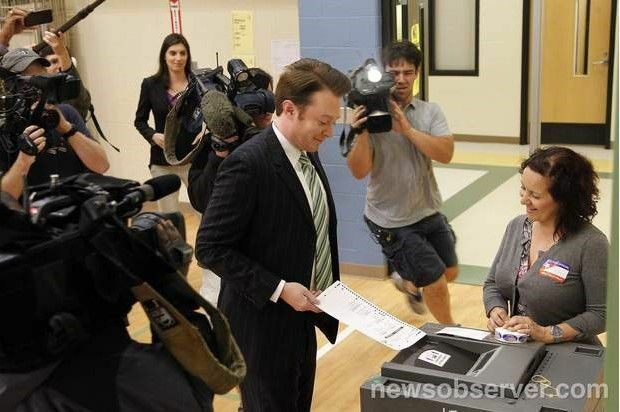 Station WNCN has posted two videos from Tuesday night. 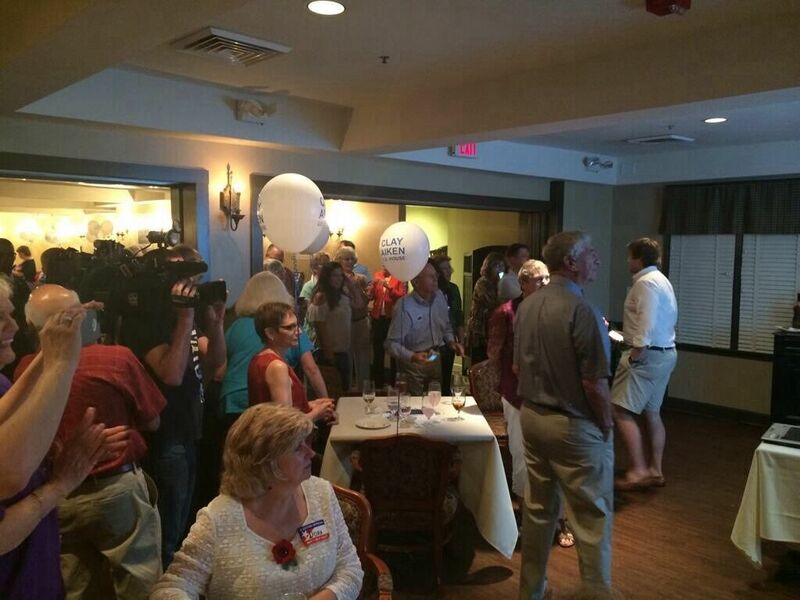 The following are some pictures from the election party. 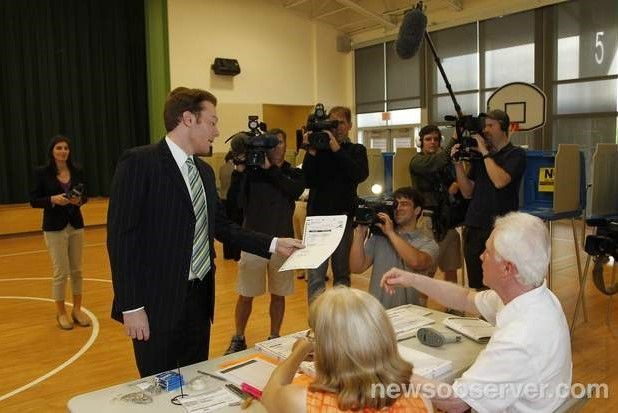 The NewsObserver posted lots of pictures showing Clay voting on Tuesday morning. As always, we will post the news as it becomes available. And, I look forward to reading what the news sites will report about this exciting election! I could not be more proud of you and the wonderful race you ran. I look forward to helping you on your continued road to Washington D.C.
What a night!!! 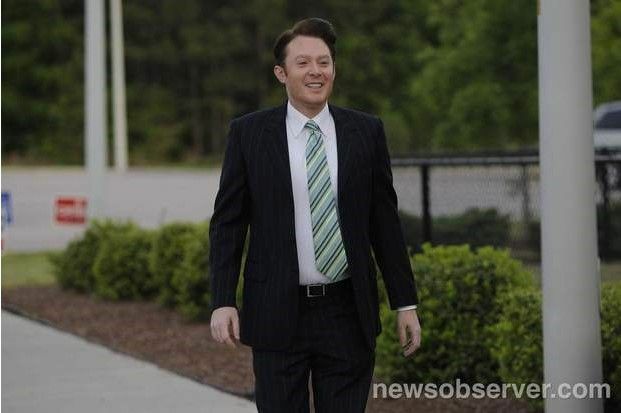 So proud of Clay Aiken. Thanks for bringing the news, pictures and videos. Long nigh of watching is right! I am so happy for him. I hope he could rest last night. I wish they would just make it official. I wonder how long that will be? So UNBELIEVABLE proud of Clay!!! AHMAZING man. He is just out there doing the right thang and paving the way as usual. 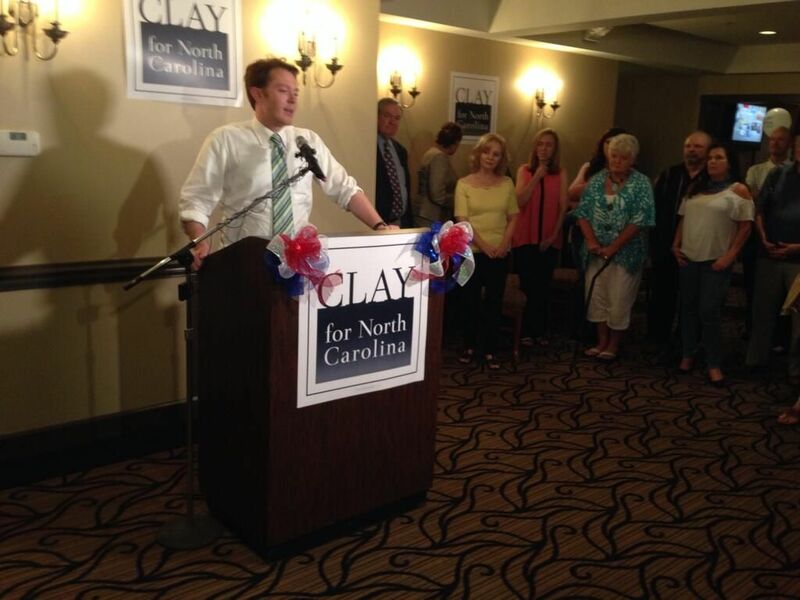 I’m so happy and proud for Clay. I’m also just wishing for an official announcrment. I know he will put his heart and soul into representing his constituents. Wishing him the best! Error: Error validating access token: Session has expired on Tuesday, 21-Aug-18 16:13:01 PDT. The current time is Friday, 26-Apr-19 00:19:55 PDT.